Activision turned heads when it cast Academy Award winner Kevin Spacey as corporate villain Jonathan Irons in Call of Duty: Advanced Warfare's campaign mode, and the publisher is sticking with the A-list for the game's first DLC package. Map pack Havoc, due in January, will include the first chapter of new episodic multiplayer mode Exo-Zombies, and it will star none other than John Malkovich. The expansion pack's first trailer features Malkovich narrating in his distinctive tone, as he explains how the bio-weapon developed by Atlas in the game's story mode resulted in a new deadlier breed of zombie being unleashed. The Oscar-nominated actor will play one of four hapless Atlas employees trying to survive the outbreak. Joining Malkovich as the other three playable characters are cult movie legend Bill Paxton (Aliens, Apollo 13), Rose McGowan (Scream, Planet Terror) and Jon Bernthal (The Walking Dead, Wolf of Wall Street). It's not the first time Activision has hired famous names for Zombies mode. The Black Ops 2 zombie map Call of the Dead featured voice work from horror icons such as Sarah Michelle Gellar and Robert Englund, as well as a cameo from Dawn of the Dead director George A. Romero. The news also comes as Advanced Warfare took the Christmas Number One spot on the gaming charts. To celebrate, developer Sledgehammer Games is giving everyone who plays multiplayer during Christmas week a free KVA Paramilitary helmet  part of a new set that can be completed through supply drops. The Havoc DLC will be released next month. 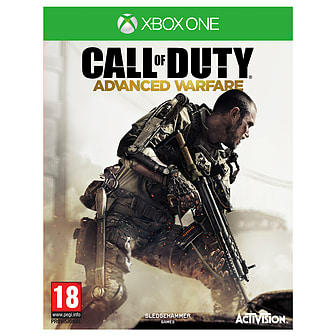 As with previous COD downloads, it will be available on Xbox platforms first.